Put time into dinner now, and you can make it last forever -- or at least the whole week. Welcome to Halfway to Dinner, where we show you how to stretch your staples -- or your seasonal produce -- every which way. Today: These 5 recipes from Lindsey S. Love of Dolly and Oatmeal will earn chickpea flour a permanent place in your kitchen. This is by far one of the easiest flatbreads you can make. With 4 ingredients (plus water) and your toppings, you're good to go. It’s minimal on cooking time as well, which is a plus for a quick weeknight dinner. The first time I saw savory waffles, I was amazed; the first time I ate a savory waffle, I was converted forever. They’re possibly the best non-bread vessel ever to grace the dining room table, since you can top them with just about anything and eat them for just about any meal. To make these miniature versions, just use less batter on your waffle iron for a 4-bite meal. I've made these crackers plain, with garlic and herbs, with za’atar, and here, with dukkah -- a nut and seed spice blend originating in Egypt. 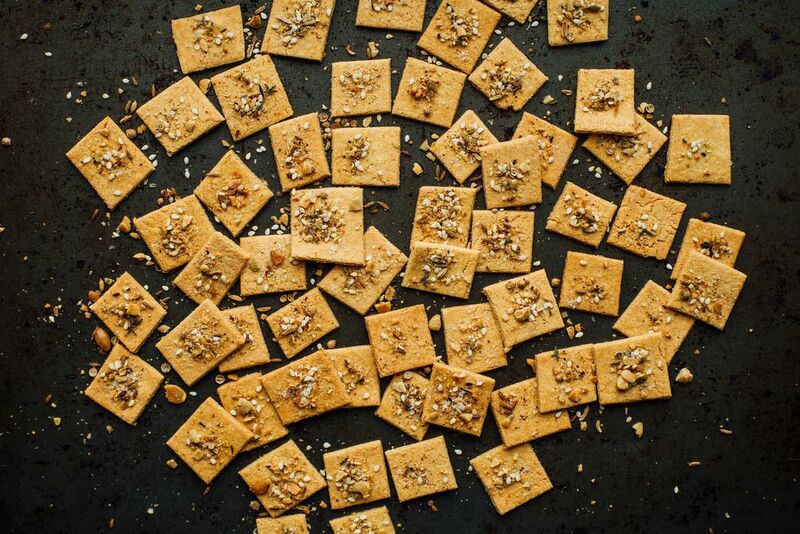 Whichever spice blend you use (or don’t use), the crackers will taste delicious even with only a sprinkle of some coarse salt. They’re a perfect weekend snack to munch on when you’re enjoying Sunday football. This recipe is made with a mixture of chickpea and oat flour, which gives them an enjoyable balance of lightness and nuttiness. The cookies are flavored with molasses, ground ginger, cinnamon, and cloves. They’re light enough to serve after a heavy winter meal. If you had told me a few years ago that I would ever be able to make homemade gluten-free pasta, I would have laughed in your face. But when I learned that it was not only doable, but also quite simple and easy, I gave it a shot. 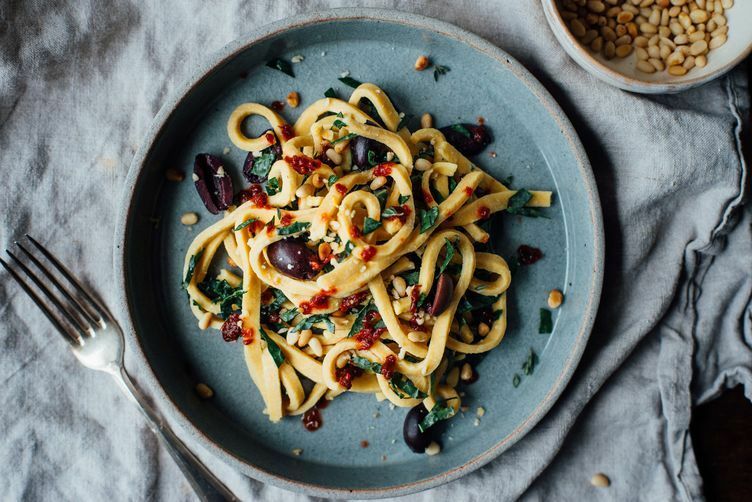 You can hand roll the pasta, like I did, or use a pasta machine, and you can hand-cut them with a sharp chef knife or use a pizza cutter to get the desired shape. Just keep in mind that cook-time is key here: Over-cooking means gloppy pasta, so taste as you go! Lindsey S. Love is a food blogger living in Brooklyn, NY with her husband. Her cooking and baking focus on healthful gluten free and dairy free, with occasional vegan recipes. You can follow her at dollyandoatmeal.com for additional recipes. 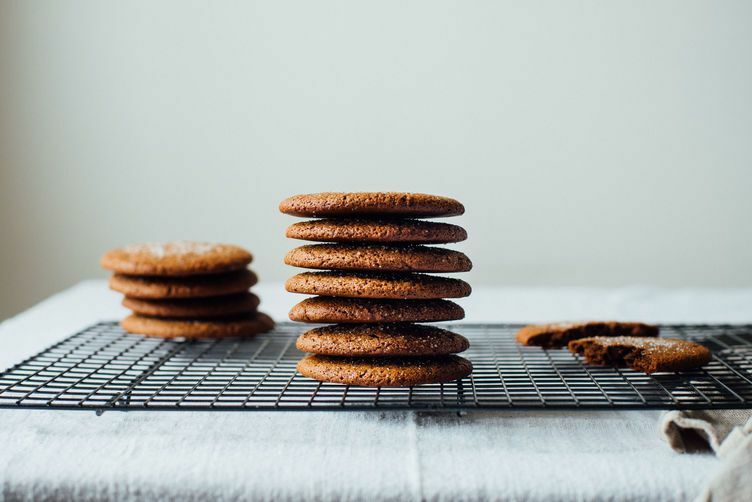 I love ginger snaps, I will definitely try this chickpea ginger snap cookie recipe. She put that down a ways in the comments. Just carmelize them and top with that inste4ad. Where's the recipe for "socca", an incredibly delicious flatbread from the south of France/Côte d'Azure? I really wanted the recipe Mini Garlic and Herb Chickpea Waffles with Avocado but cannot access it, instead one comes up with fennel. Please help me find the garlic and herb chickpea waffles with avocado. Thank you. I do too. I like to try new spice blend and I was hoping that would have one. Meantime, I'll just mince some garlic and use something exotic like sumac or za'tar. Or even something familiar (to me) like basil, thyme or sage. 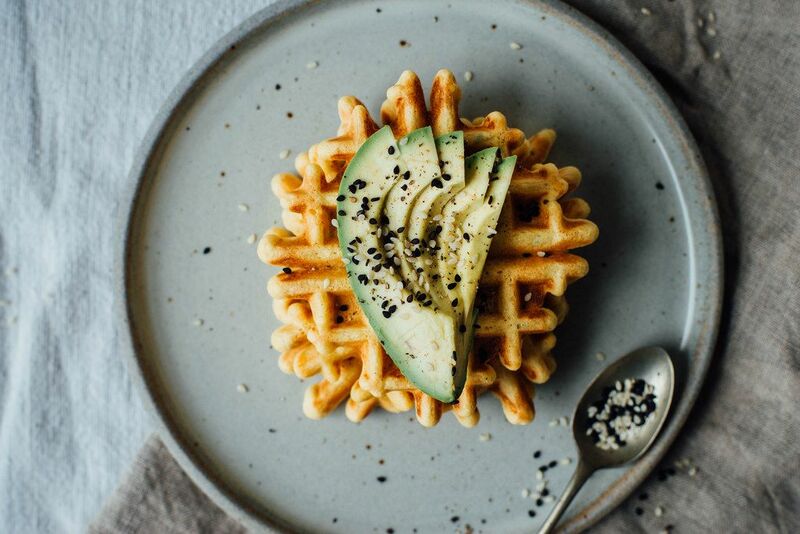 Great recipes, I don't see an actual link for the herb & garlic waffles with avocado? Are those featured on your website anywhere as well as the zucchini? Caramelized fennel is a game-changer! Love it so much, especially on some warm, crunchy bread! xo! Chickpea flour is really versatile. I myself haven't used it because the best recipes I grew up on were all fried. Trinidadians make really amazing snacks with this. Paloorie (puloree) and Beguni (baygunnee) to name a few. Beguni (not sure of that spelling) is most awesome; rounds of eggplant covered in seasoned chickpea flour and fried to golden perfection. Grab some tamarind chutney and you're set. SO good! chickpea flour is the bessssst!!!!!!! i have those crackers on my to-do list for next weekend. YAY, LINDSEY!!! 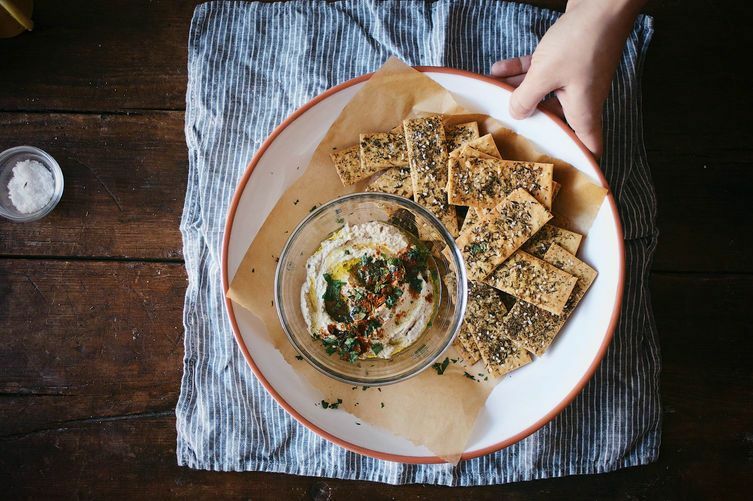 Chickpea flour is a staple in my pantry, but this article opens up whole new concepts! I've never saved so many recipes from one article before. CHickpea flour is a staple in most Indian homes especially when the diet is vegetarian. THe fettucine can be made vegan, completely omitting the eggs in fact. the protein content in the flour (along with greek yogurt for making the dough) is enough of a binding agent to hold the shape very well. I was really intrigued by the flatbread -- but when I clicked on the link, it has a recipe for flatbread with different toppings (new potatoes and basil). I'd love to know more about the caramelized fennel idea! 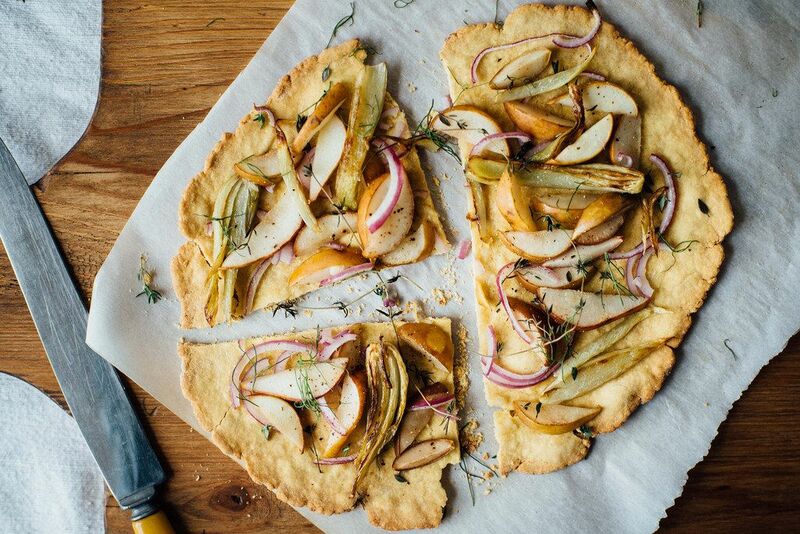 I caramelized the fennel first (similar to how you would caramelize onion), then topped the flatbread with it, along with pear slices and red onion; then placed it back in the oven for another 13-15 minutes, until slightly browned. This looks amazing! I've always wanted to try making chickpea flour pasta! great ideas for using chick pea flour. I'm a big fan. I'm working on replacing wheat flour in a number of sweets - so far brownies come out fabulous, and my gluten-free friends can indulge! I was introduced to chick pea flour many years ago on my first trip to Nice in the form of Socca, a tasty chickpea crepe that's indigenous to Nice. It's also easy to make and versatile as crepes of all kinds are. I love chickpea flour, and am so happy to see this article on other ways to use it. Thanks!